Baggies help please! 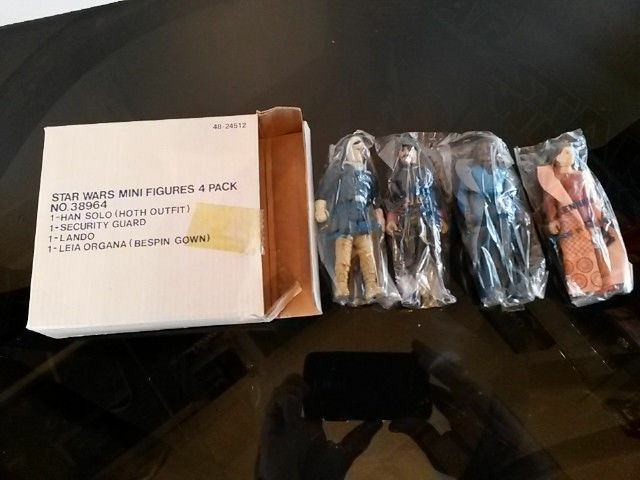 - what did Leia Bespin baggies ship with? I have searched a ton over the past week trying to figure out where the Bespin Leia baggies originated from. The ESB-C has examples of both a crew neck and a turtle neck. Does anyone know what baggie versions any of those packs she was shipped in???? A? C (crew or turtle)? Does anyone have any of those packs that possibly could take a look for me please? cheers and as always, thanks! after going back and forth with Frank (frunkstar), there currently is no evidence that a turtle neck LB was found in an ESB-C. Furthermore, my ESB-C turtle neck is a fake. I would suggest that Frank (frunkstar) would be a good person to contact. If you don't get an answer here, send him a pm Jay. 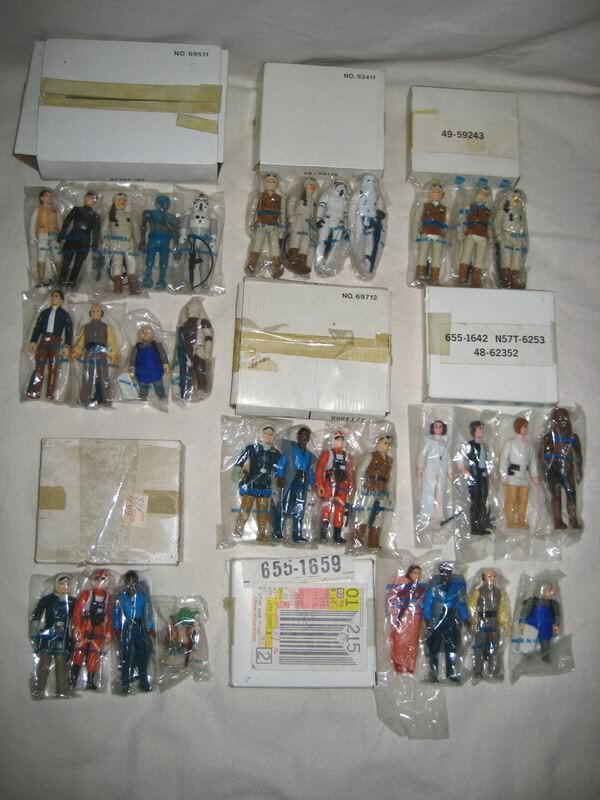 The Sears 9 Pack (49-59035) from 1980, I can also confirm (on several examples) that again, the Bespin Leia came packed in the ESB-C baggie and also the Crewneck Leia. Not to sure about the others though Jay, hope this helps. Thanks for the other two and for helping on the types for two of them! The 10 pack was one I heard of before but couldn't find a reference anywhere including THESWCA... well, unless I just overlooked it somehow. 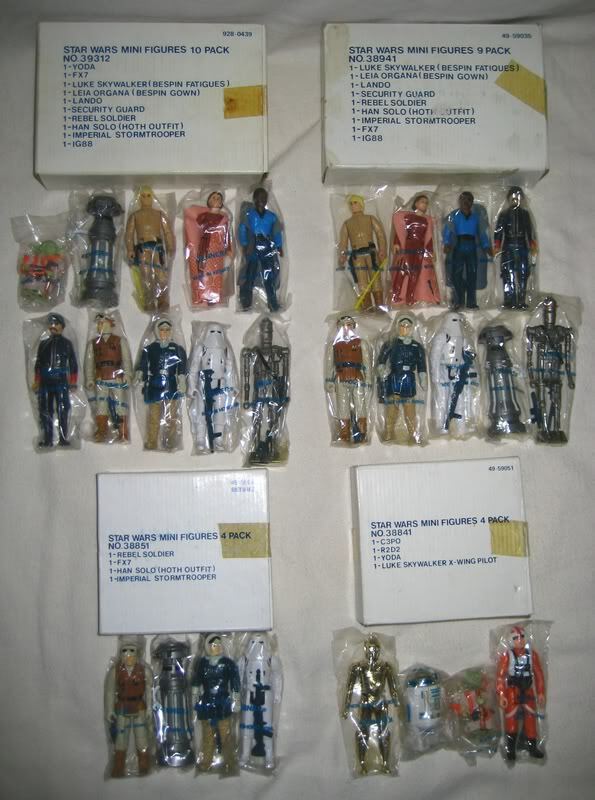 I knew I was missing something, The JC Penney 4 Pack (655-1659) from 1982 (her last appearance), I can confirm she came in the ESB-A baggie and it was the turtle neck figure that was used. Subject: Re: Baggies help please! - what did Leia Bespin baggies ship with?